Sourou Djogou Seraphine, 66, went to be with the Lord on Thursday, Jan. 17, 2019. She was born on March 18, 1952, in Togo, West Africa. Seraphine was a devoted Catholic. 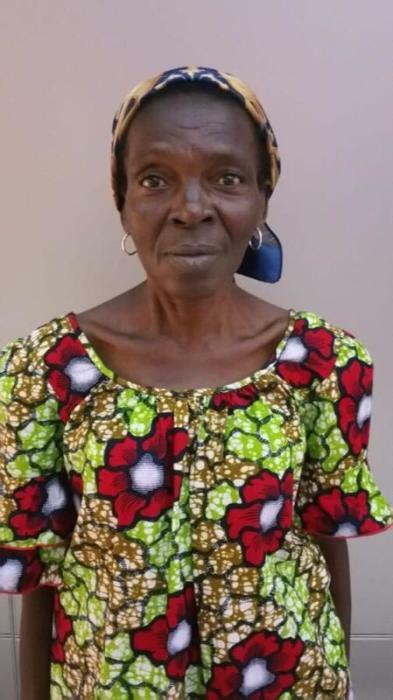 She was baptized and received first communion in 1968 in her homeland, in Kaboli, Togo, West Africa, and in 1995 she received confirmation in Sotouboua, Togo. She was a hard worker with a gentle soul, a kind heart, and a loving and caring personality. She lived a simple, honest life and was always grateful for what God bless her with. Sourou inspired so many people, and had a great impact on the lives she touched. She enjoyed cooking and was someone who promoted and exchanged goods, being a great seller was her occupation. She was preceded in death by her father, Akakpo-Ahe Sourou; her mother, Akignake Atikpati; and one sister. She is survived by her husband, Somenou Kossi Imadza; and she was the loving mother of Koffi Somenou; and beloved mother-in-law of Francine Konou; a special grandma to Trinity Someno; and survived by her siblings, Ibitola Francisca in her homeland of Togo, and Agnes Owolabi, in Cotonou, Benin. She will be fondly remembered by the following families, Sourou , Akakpo, Adjibogou, Atikpati, Sablikou et Olou Adara, Somenou, Atsu, Parbey, in her homeland and abroad, as well as other extended families and many friends. The body may be viewed at the Patton Funeral Home Chapel, 265 Fair Street S.E., Cleveland, on Friday, from 2 until 6 p.m.
A Celebration of Her Life will be held Saturday, Jan. 26, 2019, at Saint Theresa Catholic Church, 900 Clingan Ridge Drive, N.W., Cleveland, with family visitation starting at 10 a.m. The funeral mass will begin at 11 a.m., with Father Michael F. Nolan officiating. The funeral will continue with a memorial service in her hometown in Togo, West Africa.